This Prayer Journal was inspired by Susie Hobson s book, Loving God with All Your Heart: Keeping the Greatest Commandment in Everyday Life. Susie questioned herself about her ability and even her desire to keep this commandment. Could she honestly say she loved this unseen Creator with everything in her? Through her story she explains how she found that intimate love relationship with God that her heart longed for and that God commands, and she shares how you too can experience this precious Love in your life everyday. 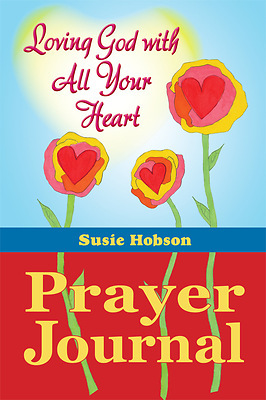 Journaling your heartfelt emotions, prayers, and praise reports while meditating on Scripture that Susie used in her book, along with encouraging words from her to apply these Scriptures to your life, makes the Loving God Prayer Journal an intimate way of communing with Him and recording your love journey with Jesus.